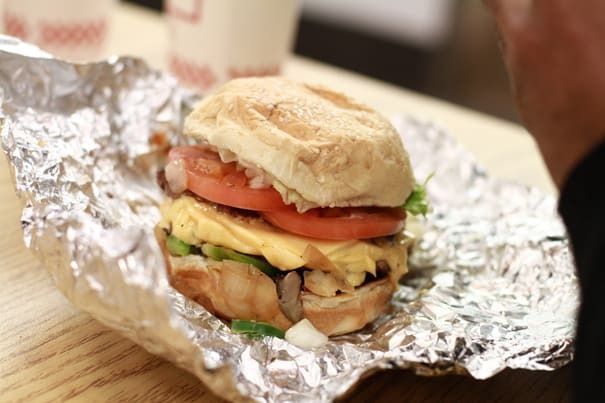 What: Five Guys comes to Canada. We heard news that Five Guys burgers finally came to Quebec, so we drove 30 minutes out of the city to get our hands on this pretty expensive burger. It was worth the drive and the money! I&apos;ve only had Five Guys in New York and now I&apos;m pretty stoked that President Obama&apos;s favorite burger chain is finally in my city.